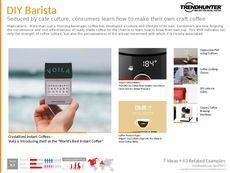 Find Better Ideas, Faster ® with a custom cafe trend report, our PRO Dashboard and 80+ categories of premium trend reports. 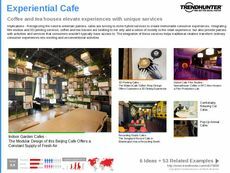 Trend Hunter's Cafe Trend Report explores the world's most creative cafe concepts. 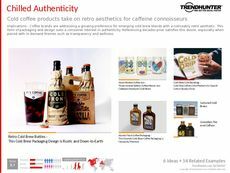 This report aims to shed light on how modern cafes pair quality coffee products with experiential and interactive displays. Covered in this report are themed cafes, dual-purpose coffee shops and pop-up cafes. Furthermore, the report will highlight how leading coffee shops like Starbucks continue to innovate within a saturated market and also delves into topics like inventive pastry shops and hybrid retail cafes. 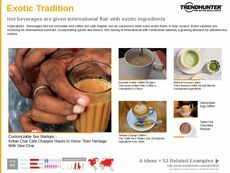 This report is ideal for marketers, advertisers, restaurant industry professionals and branding strategists. 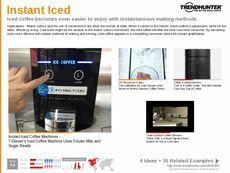 Furthermore, chefs, restaurant owners and catering companies can all benefit from the world's most notable cafe trends which will provide them with data that is relevant to a variety of current culinary ventures. 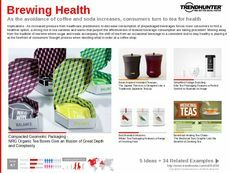 With the rapid growth of modern multipurpose cafes, the Cafe Trend Report makes clear what types of cafes consumers are preferring and will provide insightful ideas and inspirations to brands and marketers.